Does the Loch Ness Monster really exist? Are the stories of Dragons, Mermaids and BigFoot true accounts? Atlanta’s FERNBANK Museum of Natural History challenges us to explore the legends and mysteries; to take a closer look and examine the orgin and foundation of the folklore and fantasy in the natural world. Can there be simple scientific explanations for all these wondrous creatures? 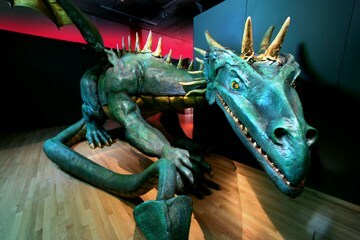 The Fernbank’s special exhibition, Mystic Creatures will help you find the answers. This phenomenal presentation features life- size models – a 17 foot-long dragon, a 10 foot-long unicorn, a kraken with with 12 foot tentacles and other mythical beasts. Expert videos and interactive touch-screens complement each display. You will leave with a deeper understanding of the fantastic tales and fabled beliefs. But more importantly, you will learn to be just a little more wary of Mother Nature’s bag of tricks. 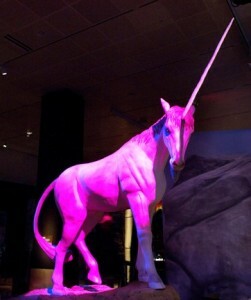 Mythic Creatures – Dragons, Unicorns & Mermaids – open through August, 14. For more information, visit the FERNBANK Museum website or call 404-929-6300.